One of Boston’s most unique neighborhoods, the North End exudes old-world charm. Cobblestone streets, boutiques, independent restaurants, bakeries and cafes characterize this historic area located north of the Financial District and east of Beacon Hill. On Friday and Saturday nights, the streets come alive with people from far and near, especially during the summer. Travel west of Causeway Street and you’ll find a more modern landscape. T.D. Garden, home to the Boston Celtics and Bruins, is a great entertainment venue. Surrounding the Garden are multiple sports bars, as well as parking options. The Rose Kennedy Greenway starts in the North End and stretches a mile long into Chinatown and the Financial District. The Rose Kennedy Greenway is a beautiful linear urban park formulated of landscaped gardens and promenades, fountains, and artwork. The North End hosts a series of feasts to honor the saints throughout the summer. These street festivals have something for everyone and are not to be missed. Overall, the North End is a fun, diverse, and entertaining place to live. As historic as the North End is, the neighborhood is witnessing a significant amount of new apartment construction, particularly near North Station. 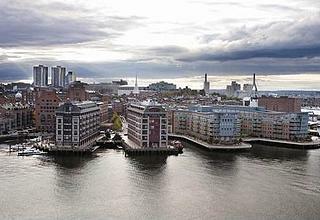 If you’re looking for a new Boston apartment or condo, the North End could be for you. Many newer North End luxury buildings offer garage parking. A North End condominium is great for those who work in the Financial District, roughly a ten minute walk. North Station offers Green Line, Orange Line, Commuter Rail, and Amtrak service. 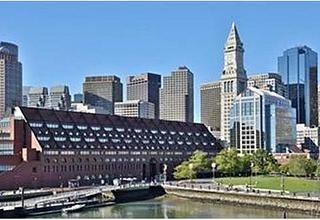 The North End is easily accessible from I-93.